I hope you've been having a wonderful and relaxing time, no matter what you celebrate. Thank you for the views and comments this year! May your 2017 be everything that you wish for. And now for the presents! I didn't receive as many this year, but I don't mind at all. I love everything I received. 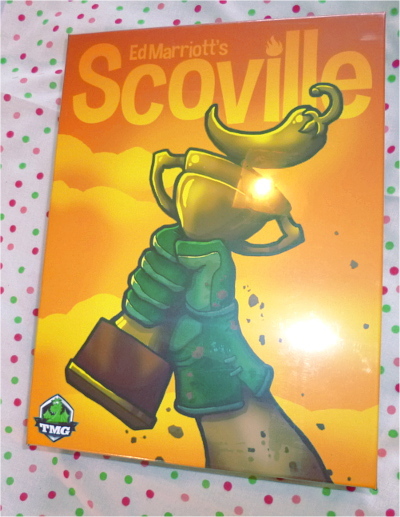 Husband bought me the board game Scoville as I heard about it from a workmate a few months ago and I mentioned it to him as a game I might like. 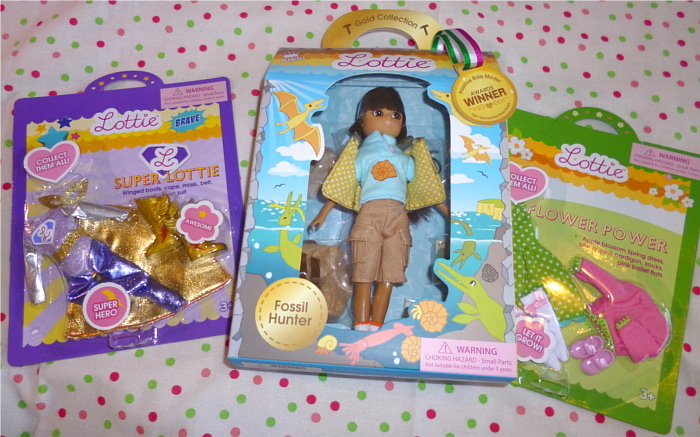 Lottie Fossil Hunter doll and two outfits. I ordered these online and then gave the unopened box to Husband for him to give to me. 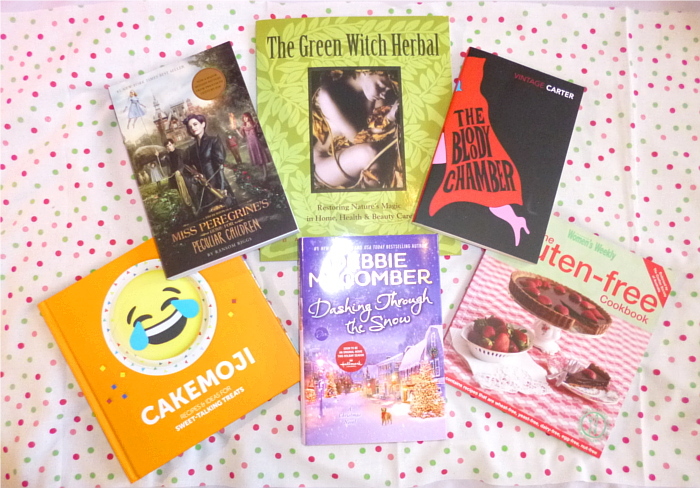 Books -- some I asked Husband to give me, some I received from my mother and father in-law, and Cakemoji was from my best friends. My mother-in-law slips a cheesy romance novel into our Christmas hamper every year -- it seems to have become a family tradition! 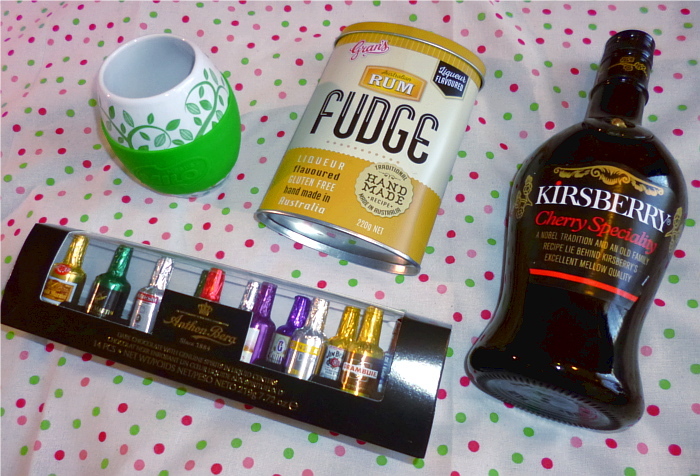 Food gifts: the bottle of Kirsch has a spinning mini bottle insert in the front. Husband and I are always on the look-out for interesting liqueur bottles to give each other. The mug was a going-away gift to me from one of my workmates. I gave it to Husband to wrap and put under the tree because, it's quite pretty and why not? Crafts: I instructed Husband to give me some sparkly gel pens and a pencil pouch. 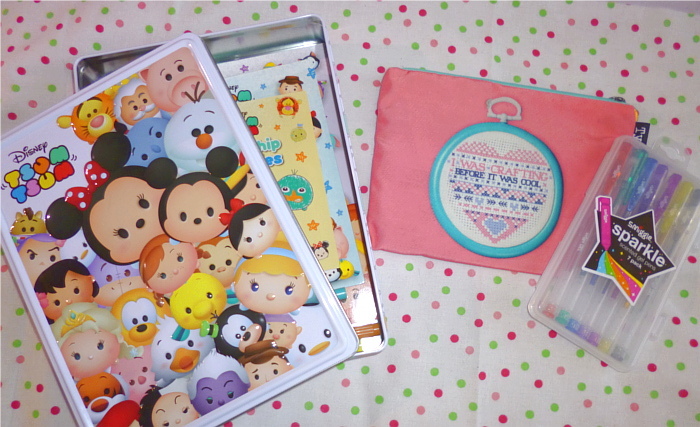 The Tsum-Tsums activity tin is from my best friends. They know I like childish things like that, not to mention tins to keep my craft projects in! 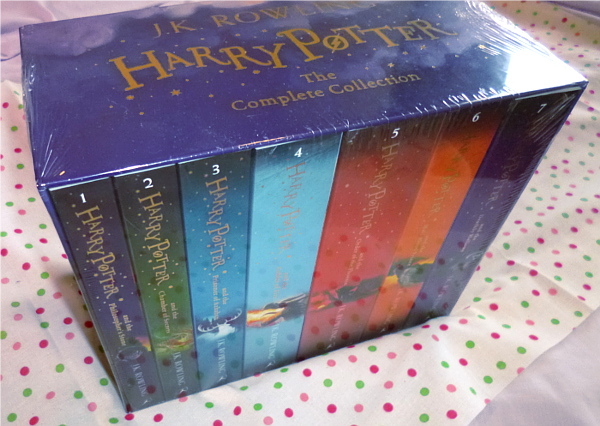 Lastly, I did indeed receive the Harry Potter boxed set that I wished for. Husband and I bought it together as a gift for ourselves, so we decided to revive an old tradition from his childhood -- we designated it a "gift from the tree". When he was a child, his parents would wrap small gifts in green paper and hide them amongst the branches of the Christmas tree for him to find. This gift was much too heavy to hide in the tree! but it was just as special. It's something I'd like to do every year, not only to solve the problem of joint gifts, but as a lovely tradition. Happy festive season to all! When the weather gets cooler, I'll start the epic journey of re-reading Harry Potter!